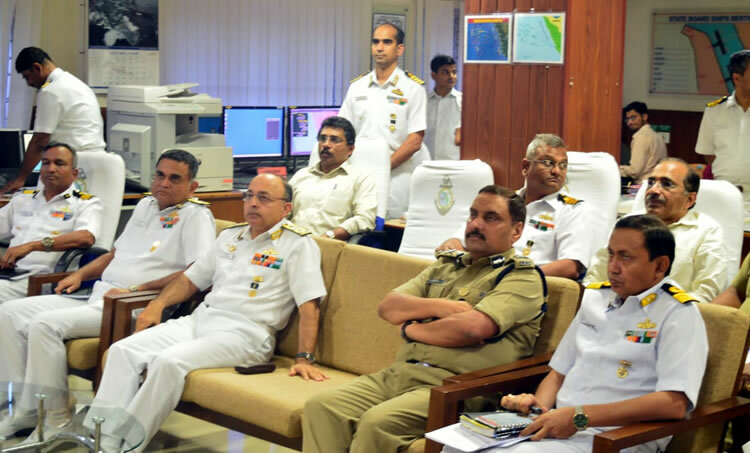 Exercise Sea Vigil was aimed to comprehensively and holistically validate the efficacy of the measures taken since 'Mumbai 26/11'. 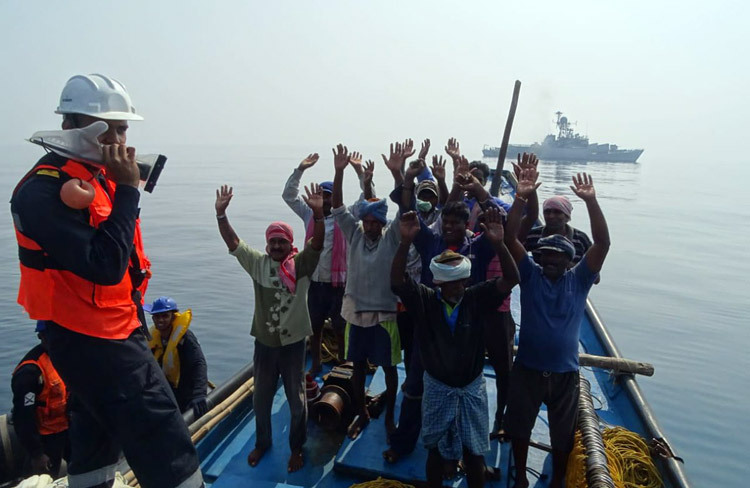 Seaward monitoring during the exercise entailed patrolling off coast, in Offshore Development Areas and off islands territories by the Indian Navy, Indian Coast Guard, supported by the State Marine Police. 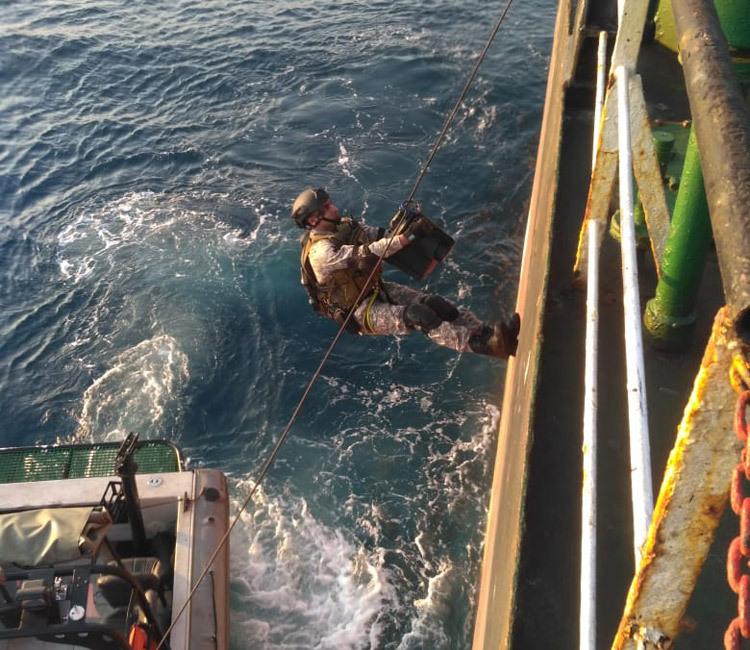 Closer coast, strategic assets, ports, Single Point Moorings (SPMs) was patrolled by designated agencies. Seaward monitoring also entailed inputs from technical means, including intelligence sources. Extensive shore-based monitoring enhanced vigil by the State Police along the coast; monitoring of fish landing centres by state fisheries departments; as also monitoring of port areas by respective port authorities. SP's:	A decade after the worst ever tragedy caused by the sea borne Terror attack, Mumbai 26/11 a huge question looms large "How could this have happened, and can it happen again"? 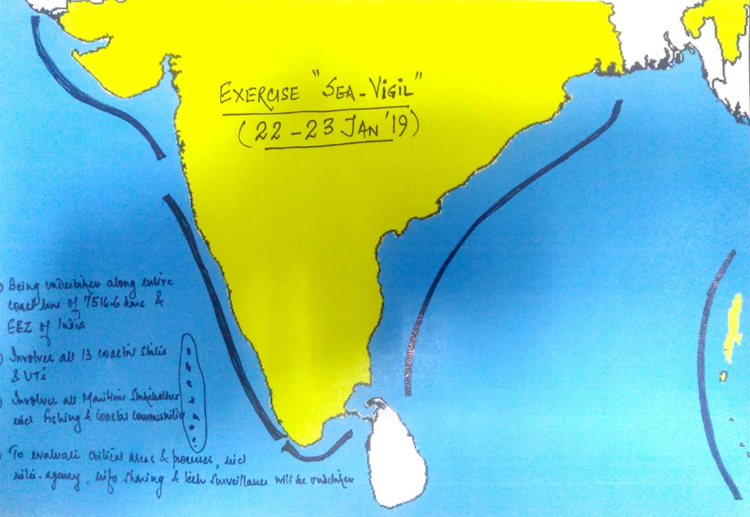 I would also like to share with readers that as part of our continuing efforts towards validating our response mechanisms to seaborne threats, during the month of January 2019, we would be conducting a large-scale coastal defence exercise 'Exercise Sea Vigil' which will involve all stakeholders across mainland and island territories. 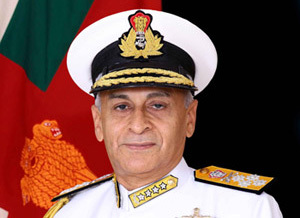 We aim to test the robustness of our entire coastal security apparatus, down to the wire through this massive exercise and put the necessary correctives in place.